How many countries commemorate a military defeat as their national holiday? Cuba does. In fact, it celebrates the ill-fated events that took place on July 26, 1953 with three days off. The events began one year earlier in May 1952 whena group of young people grouped around Abel and Haydee Santamaría, Melba Hernández and Fidel Castro began meeting in an apartment building in Havana to discuss their discontent with the disruption of the constitutional order imposed by the military coup launched by the dictator Fulgencio Batista. All legal channels exhausted, plans were made to start the armed struggle and fight the de facto government. 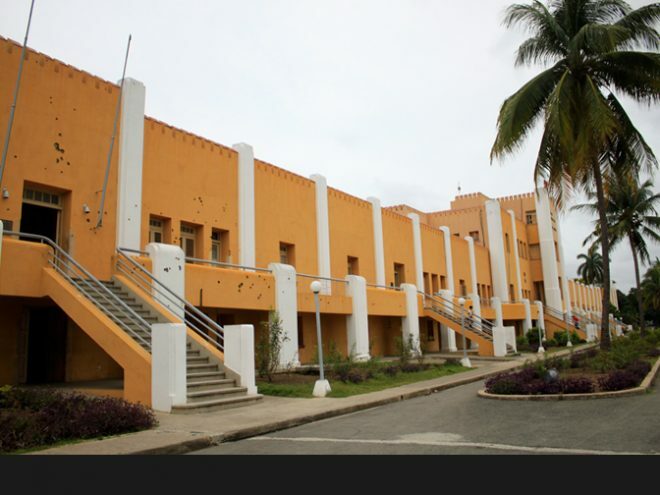 Working with people across the country, they began to obtain uniforms, guns and ammunition to attack the Moncada Barracks and other strategic targets. A year later, those who were to participate in the assault traveled to Santiago de Cuba, which was celebrating its traditional summer carnival. The date was chosen so that the authorities would not suspect the young people who by train, bus and 17 cars were coming into the city with the apparent purpose of enjoying themselves during the festivities. The leaders of the attack were hoping that the relaxed atmosphere, the distance from the capital, the surprise factor, and the nearby mountains of the Sierra Maestra would help them achieve their goal. Upon their arrival in Santiago, the revolutionaries gathered together at the small Siboney farm located near the city. During early morning, the guns hidden inside a well were distributed. Then, the details of the attack, which had been kept in the utmost secrecy by the leaders, were given—they were going to attack the Moncada and Carlos Manuel de Céspedes Barracks and take over two strategic places, the Saturnino Lora Hospital and the Palace of Justice. The objectives: to disarm the enemy and summon the people to take armed revolutionary action that would lead to the overthrow of Batista. At 4:00 am on Sunday, July 26, 129 men and two women left the Siboney farm. The plan was to have the main body of the inexperienced troops (around 90 men) led by Fidel Castro advance to the army facility; the two women (Melba Hernández and Haydee Santamaría) and other fighters led by Abel Santamaría would take over the hospital; and the group of around 35 men led by Raul Castro would seize the Palace of Justice. The last two groups were able to achieve their goal, but the group led by Fidel lost the element of surprise—after reaching one of the posts, an unexpected patrol that was doing the rounds because of the carnival came across them. The guards alerted the troops and a battle ensued outside the garrison. Given the disadvantage of the assailants, many were captured alive and killed. The group that tried to gain the foothills of the Sierra Maestra was captured several days later. The assailants and Fidel Castro were held for trial. Fidel Castro assumed his own defense and he gave a four-hour speech on October 16 that was published under the title “History Will Absolve Me,” which was his concluding sentence. Although sentenced to terms of up to 15 years, many of the survivors relocated to Mexico after having been granted an amnesty and released from prison in 1955. In Mexico, they continued their plans to form a disciplined guerrilla force to overthrow the dictator Batista and returned to Cuba on the Granma yacht in December 1956 to begin the guerrilla struggle that culminated in the victory of 1959. July 2014 The definitive monthly travel & culture guide to Havana Download our current issue of What’s On Havana, your definitive travel, culture and entertainment guide for all things happening in Havana, Cuba’s bustling and enigmatic capital city. We include features from around Cuba written by the best international travel writers covering Cuba. Our monthly online digital magazine is also available in Spanish and French.